Happy Thursday everyone! 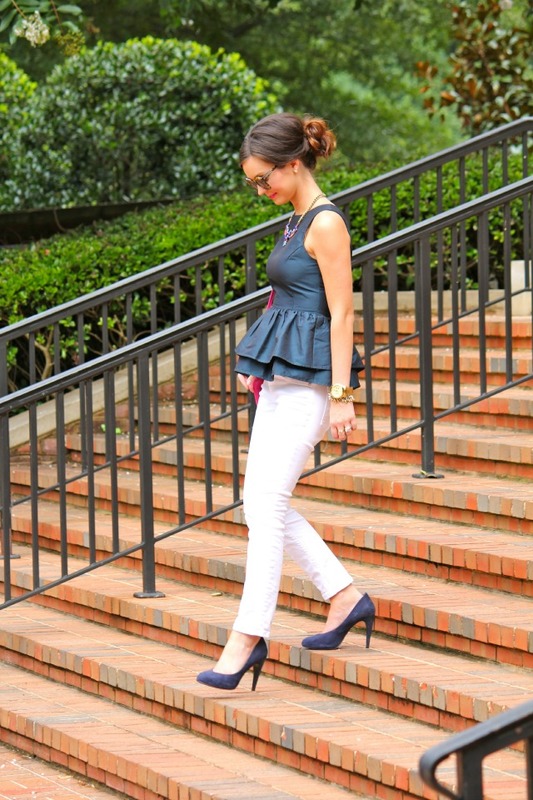 Today's look is one I don't think I'll ever get tired of: the peplum trend. Navy is always such a classic color and I love mixing the jewel tones in this necklace with bright pink. As you can tell, I can't get enough of a messy bun right now--it's simple, chic and sophisticated! Don't forget to check out Baublebar on social media and see the other 4 bloggers who styled this fab necklace today! P.S.--This butterfly was flying all around me while taking these photos and I finally got him to land on my hand! How ironic that he totally matched my outfit?! great look! love the necklace and the bag!!!!! Such a classy and polished look Meghan ! Love the butterfly...and the look! 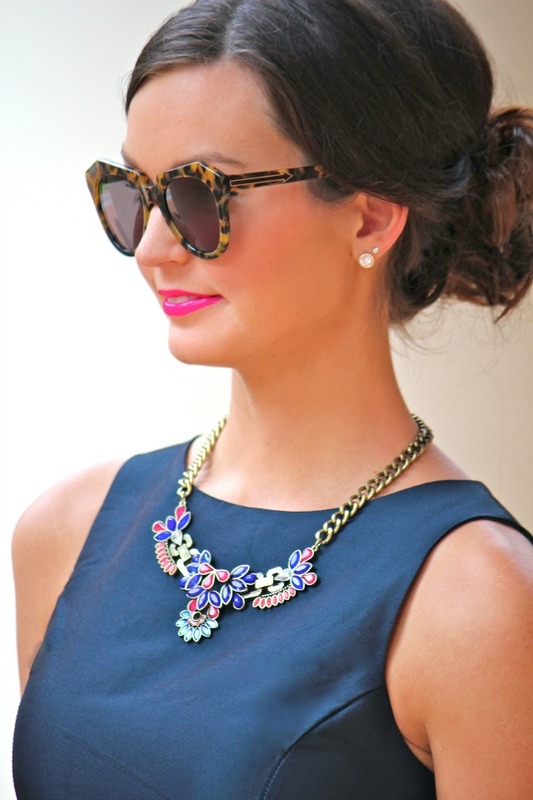 I love navy and bright pink together, and the necklace is gorgeous! That top looks great on you! 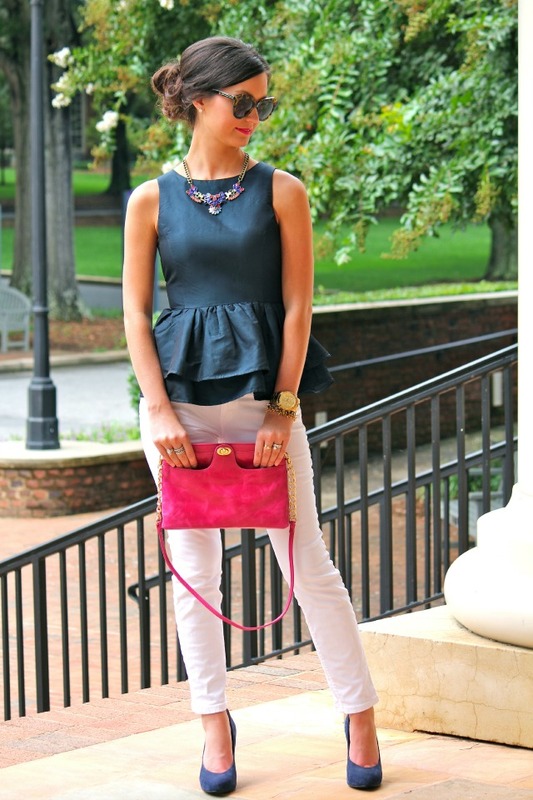 You should wear peplum more often!! LOVE this looks! It is fabulous! Love that you got a photo of the butterfly on your hand! So fun! Oh, and I am obsessing over Baublebar necklaces these days. It's like a double peplum! Super cute. 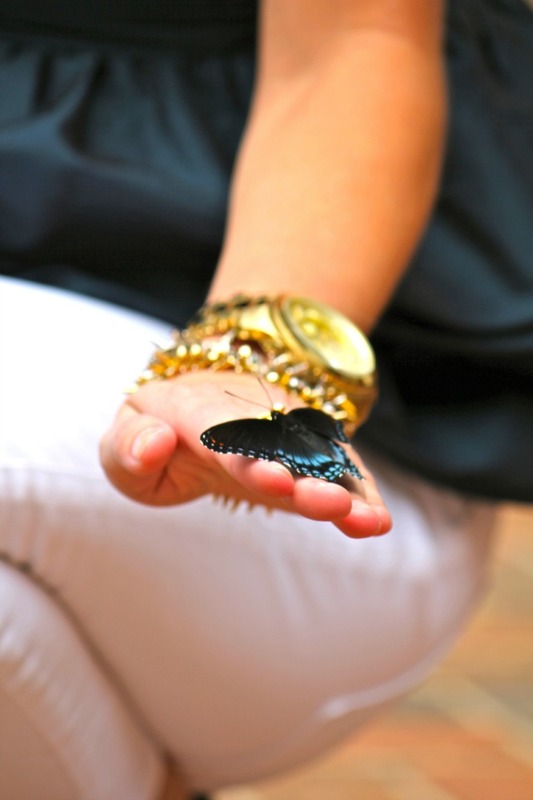 Oh my gosh...that butterfly is the perfect accessory! Amazing pic! Love your whole look too! I love the necklace, it's so bright and fun! This necklace is beautiful - I love the whole look!